The FileMaker Developer Conference (DevCon) is on again this year in Orlando, Florida at the Gaylord Palms Resort from August 5-8, 2019. We’re excited to announce that we will be once again exhibiting at the conference. This year attendees can choose between a 2-Day and 3-Day conference program, as well as the traditional Training Day on the Monday. The Conference Tracks are organised around Create, Share and Integrate with sessions for Beginner, Intermediate and Advanced developers. fmSMS: our award winning 2 way SMS solution for FileMaker Pro, FileMaker Go, FileMaker WebDirect and FileMaker Server. fmSMS allows you to send an SMS from FileMaker Pro, FileMaker Go and FileMaker Server to almost any mobile phone in the world, reaching over 800 networks in more than 200 countries. fmAccounting Link (Xero Edition): our solution that integrates between FileMaker Pro and the Xero Accounting Software. Xero is the market­leading small business cloud accounting software in Australia, New Zealand and the United Kingdom and is making great progress in the United States market. fmAccounting Link (Xero Edition) lets you upload and download Contacts, Invoices, Payments, Bills, Timesheets and more between FileMaker and Xero. fmEcommerce Link (WooCommerce Edition): our solution that integrates between FileMaker and the WooCommerce eCommerce platform. With fmEcommerce Link (WooCommerce Edition) you can download Orders from WooCommerce and upload Products from FileMaker at the click of a button – no more double data entry! fmEcommerce Link (Shopify Edition): our solution that integrates between FileMaker and the Shopify eCommerce platform. With fmEcommerce Link (Shopify Edition) you can download Orders from Shopify and upload Products from FileMaker at the click of a button – no more double data entry! fmAccounting Link (MYOB AccountRight Edition): our solution that integrates between FileMaker Pro and the MYOB AccountRight Accounting Software (Australia and New Zealand). MYOB AccountRight runs either in the Cloud or on the Desktop, and fmAccounting Link (MYOB AccountRight Edition) allows you to upload Contacts, Invoices, Payments and more at the click of a button. fmAccounting Link (MYOB Essentials Edition): our latest solution that integrates between FileMaker Pro and the MYOB Essentials Accounting Software, the the easy online accounting software from MYOB (Australia and New Zealand). fmAccounting Link (MYOB Essentials Edition) allows you to upload Contacts, Invoices, Payments and more at the click of a button. Free 14 day trial versions of all our products are available – get in touch if you would like to trial any of our integration solutions. If you’re coming to the conference please stop by and say hello. 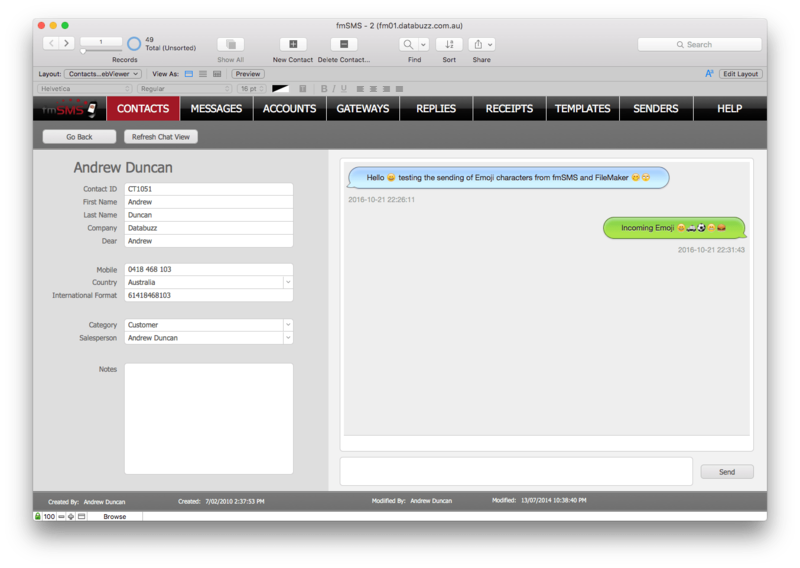 We’d love to demonstrate how you can send and receive SMS/TXT messages using the FileMaker platform and integrate with Xero, WooCommerce, Shopify and more. The FileMaker Developer Conference 2018 starts next week (August 6-9) in Dallas, Texas at the amazing Gaylord Texan Resort. This will be my 14th DevCon and also the first time I’ve been able to fly direct from my hometown of Sydney, Australia to the DevCon city. I’m looking forward to learning about the future directions of the FileMaker platform and catching up with fellow developers from all around the world (I’m definitely not looking forward to spending 15h 25m in economy though). Databuzz was not able to secure an exhibitors booth this year so please get in touch if you would like to arrange a time to meet to discuss our FileMaker integration products or arrange a demonstration of our Xero, WooCommerce, Shopify, SMS and MYOB solutions. This year for the very first time you will be able to live stream a special session from DevCon where you will hear members of FileMaker Product Management and Product Development share their insights with you – you can register for the live stream here (it starts at 9:00 am Dallas time which is 12am AEST). I’ll be sharing some highlights from DevCon alongside other DevCon attendees at the inaugural FileMaker Dev Sydney meeting in September. If you live in Sydney please join the new Meetup group and register for our first meet up. I was pleasantly surprised to see that the Emoji reply had made it all the way back from their phone to fmSMS via the SMS Gateway and the PHP page that is used to convert the incoming reply into a FileMaker record without me having to do anything to handle the Unicode characters – it just worked! I decided to do a bit more research into this to see how different SMS Gateways handled Emoji characters as a way of testing their Unicode support (there are now hundreds of Emoji characters encoded in the Unicode standards). It’s important here to understand the history of SMS – back when the GSM standard was being adopted the mobile phone industry decided on a standard set of characters called GSM 03.38. Support for this character set became mandatory for all GSM handsets and network elements (carriers etc). The GSM character set includes the English alphabet ( A-Z ), numbers (0 – 9) and some special characters, and the size of a single SMS was limited to 160 characters. The 160 character maximum actually comes from the fact that you can encode 160 7-bit characters into 140 bytes – 140 bytes being the limit for the size of a message. Unicode characters use several GSM characters to describe each Unicode character which means that you won’t be able to send as many characters in your SMS when include Unicode characters. Depending on which special characters you’re sending, you may only be able to send between 35 and 70 characters. 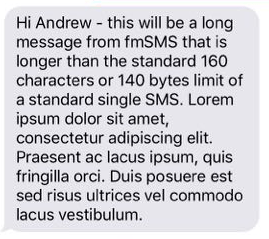 To send a message that is longer than the 160 characters/140 bytes limit the message needs to use Concatenation, which involves breaking up the message over multiple SMS messages. Thankfully most SMS Gateways and mobile phone handsets support concatenation where multiple messages are joined together to form a single message on the handset, even though that single message is greater than 160 characters (or 140 bytes). As each message needs to broken up into individual 140 byte messages the SMS Gateways will charge you for each individual message, even though they appear as a single message to the recipient. As you can see the incoming message containing Emoji characters was received successfully using the Twilio SMS Gateway once again. 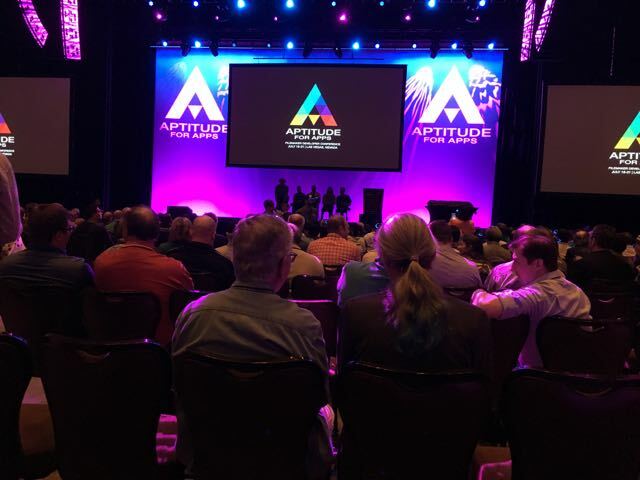 The 2016 FileMaker Developer Conference was held at the same location as last year – Las Vegas, Nevada – and the same hotel – The Cosmopolitan – so everything felt very familiar. I didn’t spend nearly as much time getting lost as I did in 2015. This was my 13th DevCon (out of 21) and the fourth time that Databuzz has exhibited. The rest of the week was spent at the Databuzz booth in the exhibitors area, talking to developers from all around the world and doing lots of demos of our products. It’s also a chance to catch up with customers in person and put a face to a name that you’ve been emailing for many months. As with past years the most interest from attendees at our booth was in fmSMS and we did lots of demos showing how you can use the FileMaker platform to send and receive SMS/TXT messages. Looking at the message logs I can see we sent a lot of messages to attendees from the USA/Canada, France, Luxembourg, Sweden, Mongolia and Australia. This year there was definitely more awareness of the Xero small business accounting platform compared to previous years and it was great showing our fmAccounting Link (Xero Edition) solution to developers from all around the world. North America is now Xero’s fastest growing market (the other main markets are Australia, New Zealand and the UK) so we will definitely see more interest in Xero in future years. 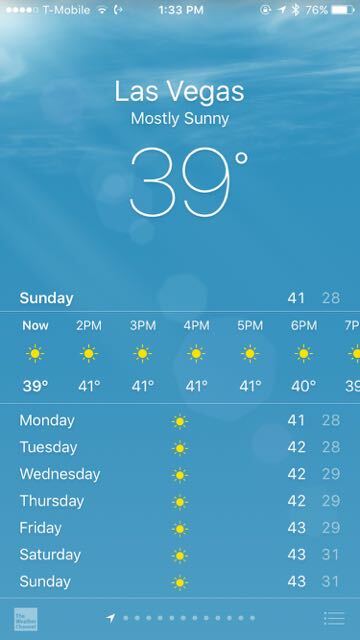 The venue for DevCon 2017 was announced at the closing session – DevCon is returning to Phoenix, Arizona and the JW Marriott Desert Ridge from July 24 – 26. That will also have a familiar feel to it – it will be the fifth time DevCon has been at this venue. The closing session was also used to announce the winners of the FileMaker Developer Challenge. This year Databuzz and our good friends at Goya donated the monitors that we purchased for the conference to some of the charities involved in the Developer Challenge – Foster Kinship and the Nevada Partnership for Homeless Youth gratefully accepted these. See you in Phoenix in 2017! The annual FileMaker Developer Conference (DevCon) is only 50 days away and we’re excited to announce that we will be exhibiting at the conference once again. 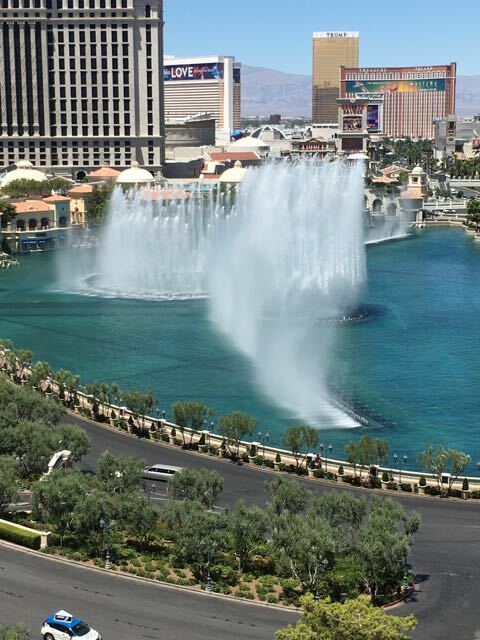 This year’s DevCon (the 21st) will be held in the same location as last year – Las Vegas, Nevada – from July 18-21, 2016. The Exhibitor Hall will be in the Gracia Ballroom this year, which is the same location where breakfast and lunch are served. This is the same format from previous DevCons so you can grab lunch then spend some time visiting the exhibitor booths. fmAccounting Link (Xero Edition): our solution that integrates between FileMaker Pro and the Xero Accounting Software. Xero is the market­leading small business cloud accounting software in Australia, New Zealand and the United Kingdom and is making great progress in the United States market. fmAccounting Link (Xero Edition) lets you upload and download Contacts, Invoices, Payments, Bills, Timesheets and more between FileMaker and Xero. You can get more information from the fmAccounting Link (Xero Edition) product page. If you’re coming to the conference please stop by and say hello. We’d love to demonstrate how you can send and receive SMS/TXT messages using the FileMaker platform and integrate with Xero and MYOB AccountRight/Essentials.. We hope to see as many of you there as possible and look forward to answering your questions about FileMaker, SMS integration and Xero. Databuzz will once again be demonstrating at the annual FileMaker Developer Conference this week in in Las Vegas, Nevada. To celebrate we will be offering a DevCon show special for the entire week – all versions of fmAccounting Link and fmSMS will be discounted by 10%. The discount will be applied automatically so no need to enter any coupons and it will run from July 20 – July 26, 2015. You can purchase fmAccounting Link via the Databuzz website and fmSMS from the fmSMS. If you’re attending the conference please stop by our booth and say hello and we can demonstrate our SMS and Xero integration solutions. Sydney, Australia – July 13, 2015 – Databuzz today announced fmAccounting Link, a FileMaker solution that integrates with the Xero Accounting Software. fmAccounting Link allows you to upload and download data between your FileMaker solution and Xero, the easy to use online accounting software that’s designed specifically for small businesses. fmAccounting Link removes double data entry and human errors saving your company significant time, money and hassle by automating the exchange of data between FileMaker and Xero. fmAccounting Link is completely unlocked allowing you to integrate it into your FileMaker solution. You can copy and paste examples showing you how to authenticate with the Xero API and upload Contacts, Invoices, Bills, Payments and more at the click of a button. 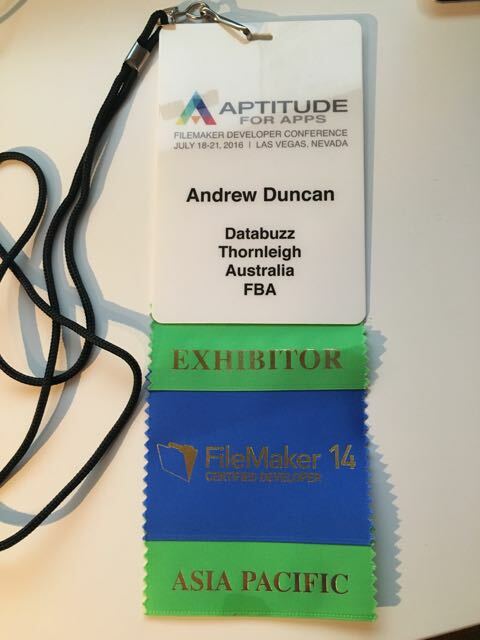 Databuzz will be demonstrating fmAccounting Link at the 2015 FileMaker Developer Conference, to be held in Las Vegas, Nevada from July 20-23, 2015. To celebrate we will be offering a DevCon show special for the entire week – all versions of fmAccounting Link will be discounted by 10% when you purchase via our online store at http://www.databuzz.com.au/shop. fmAccounting Link is available in a number of licenses: Workgroup, Vertical Solution and Developer. It is available now from the Databuzz website at http://www.databuzz.com.au. Workgroup Licenses start at AUD $495.00. fmAccounting Link requires FileMaker Pro v12, v13 or v14. About Databuzz: Databuzz is a long standing member of the FileMaker Business Alliance and a Xero Approved Developer. We have been developing and deploying FileMaker solutions for clients in Australia and internationally since 1999. Our clients are individuals, small-medium businesses, government agencies and multi-national corporations. Databuzz was founded by Andrew Duncan, a Certified FileMaker 13 Developer. For more information please visit our website at http://www.databuzz.com.au. FileMaker Inc. have recently released the schedule for the 20th anniversary edition of the FileMaker Developer Conference (DevCon) to be held in Las Vegas, Nevada from July 20-23, 2015. We’re excited to announce that we will be once again exhibiting at the conference, and this year we have 2 products to demonstrate (a 100% increase on previous years!). As we have in past years we will be demonstrating fmSMS, our award winning 2 way SMS solution for FileMaker Pro, FileMaker Go and FileMaker Server (including support for FileMaker WebDirect). fmSMS allows you to send an SMS from FileMaker Pro, FileMaker Go and FileMaker Server to almost any mobile phone in the world, reaching over 800 networks in more than 200 countries. You can get more information about fmSMS from the fmSMS website. This year we will also be showcasing FileMaker integration with the Xero online accounting software. Xero is easy to use online accounting software that’s designed specifically for small businesses and is a great match for FileMaker Pro to help you run your business. We can help you integrate your existing FileMaker solutions with Xero, or if you would rather do this yourself we also have a new product called fmAccounting Link (Xero Edition). fmAccounting Link (Xero Edition) lets you upload and download Contacts, Invoices, Payments, Bills, Timesheets and more between FileMaker and Xero. You can get more information on fmAccounting Link (Xero Edition) from the fmAccounting Link (Xero Edition) product page. If you’re coming to the conference please stop by and say hello and we can demonstrate how you can send and receive SMS/TXT messages using FileMaker Pro, FileMaker Go and FileMaker Server. We hope to see as many of you there as possible and look forward to answering your questions about FileMaker, SMS integration and Xero. Databuzz will be exhibiting once again at the FileMaker Developer Conference 2014 where will be showing fmSMS v3.5 and how easy it is to send and receive SMS/TXT messages with FileMaker Pro, FileMaker Server, FileMaker WebDirect and FileMaker Go. If you’re attending DevCon make sure you stop by our booth for a demo of how fmSMS works or if have any questions about integrating SMS functionality into your existing FileMaker solution. Even if you can’t make it to DevCon in person you can still take advantage of this offer. I look forward to catching up with as many attendees as possible – please stop by our booth and say hello.